When you’re performing a task, you should try to emulate the best. This applies to flying a plane, installing a deck in your backyard or educating your kids. Fly like Chesley “Sully” Sullenberger, the pilot who miraculously landed a plane in the Hudson River. Do home projects like This Old House and Home Again host Bob Vila. And teach like Anne Sullivan, who helped deaf-and-blind Helen Keller learn how to communicate. Following the best in your chosen field is a solid way to learn to do the task well. This applies in investing as much as it does in any discipline. 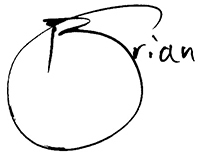 Bill Nygren is an important name in the world of finance. He has had a big effect on me over the years … and I believe he can help you too. Nygren is a fund manager. He has managed one or more Oakmark funds for more than two decades. Oakmark seeks stocks that trade at a big discount to their intrinsic value. It plans to hold them for a long time … or until they reach the expected value. It makes sense to buy something that will go up in price. But it’s easier said than done. Oakmark does it well. In his most recent letter about the market, Nygren commented on the recent stock drops. In 2011, the S&P 500 Index lost more than 19%. Last year, it lost nearly 20% during the three months that ended on Christmas Eve. When the historians go to the replay booth, they might decide we had two bear markets over this decade, which would be consistent with history. But whatever labels they use doesn’t really matter. I’ve been in the investment business for 38 years, and those steep declines felt like bear markets to me. Further, mutual fund investors behaved as they typically behave in bear markets: Instead of rebalancing — buying stocks to restore their equity allocation — they sold stocks that had already declined, further reducing their exposure to equities. Nygren believes stocks are the place to be. To buy during dips. And to have a long-term perspective. One way I know this is he and his colleagues believe in their own work. As of the end of last year, Nygren and the fellow colleagues of his parent company owned more than $430 million of the seven Oakmark funds. Nygren — and his peers — also seek companies with growing free cash flow. And the know-how to invest that excess cash wisely. He likes to see the firms his fund owns do share repurchases with excess cash. He believes the stocks are undervalued, so it makes sense to buy back shares. And management teams that think and act like owners. That means executives who hold a lot of their company’s stock … and buy more when it falls. Nygren also likes to see managers who invest in projects that will create value for the long term, too … not just from quarter to quarter. Today, Nygren manages three of the company’s funds. 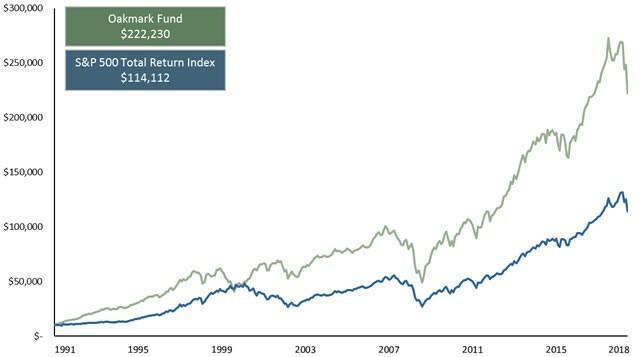 The best performer is the Oakmark Fund (OAKMX). This mutual fund is tradable at the major brokerages. You can also open an account at Oakmark itself. Since its inception in August 1991 through the end of March, Bloomberg says its average annual return is nearly 12.2%. That’s more than 2% greater per year than the S&P 500. If 2% doesn’t sound like much, just look at the above chart. During the fund’s life, it has nearly doubled the performance of the S&P 500. A $10,000 investment in the fund would have grown $100,000 more than in the S&P 500. Nygren is an important part of that success. He has been at least a co-manager of this fund since 2000. Jeff Yastine and I run a research service called Insider Profit Trader. An essential part of our strategy is observing what the most successful institutions are buying. Then, if the name meets our strict criteria, we buy it. Nygren is one of the gurus we follow. And if you’re looking for a general fund with a solid history of results, Nygren’s Oakmark Fund (OAKMX) is tough to beat. It has less stocks than the S&P 500, so it can be more volatile. But you can’t argue with the success he has enjoyed. Plus, you will be investing alongside Nygren and his colleagues. That’s been a solid bet for the past quarter century. « Previous Clean Energy Storage Demand Is Surging 1,445%!